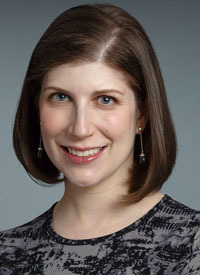 There have been many advances in radiation oncology, but positioning techniques have shown the greatest impact on reducing the dose to the heart in patients with early-stage breast cancer, according to Naamit K. Gerber, MD. The magnitude of benefit stems from relatively simple protocols like prone positioning or a deep inspiratory breath hold (DIBH), explained Gerber, an assistant professor in the Department of Radiation Oncology at NYU Langone’s Perlmutter Cancer Center. “Unlike some of the other advances in radiation oncology that are technologically exciting, this is a pretty simple technique that has tremendous effects on our patients and the care we can give,” she said. Beyond positioning, Gerber said that physicians are working to define the subset of patients who will derive the most benefit from regional nodal irradiation in the TAILOR RT trial (NCT03488693). The trial is currently accruing and is expected to complete in December 2027. In an interview during the 2018 OncLive® State of the Science Summit™ on Breast Cancer, Gerber discussed recent advances in radiation therapy in the field of breast cancer. OncLive: What did your presentation focus on? Gerber: I spoke about advances in radiation oncology. I started by talking about some of the advances in techniques that we've seen over the past few years. The advent of DIBH moves the heart away from the left breast or chest wall, which has been crucial in limiting the heart dose for patients who need radiation. Can you elaborate on that protocol? We have patients take a really deep breath, which inflates the lungs and creates more distance between the heart and the left breast. It allows us to target the left breast and keep the cardiac dose extremely low. This technique is really useful both in patients with early-stage breast cancer who just need their breast treated, and also those with more advanced disease who need their lymph nodes treated. Is this technique used outside of NYU Langone's Perlmutter Cancer Center? It's certainly not only [used] at NYU Langone's Perlmutter Cancer Center; it's becoming more frequent at more institutions. I was recently at a conference, and there was a presentation by a group in India that just implemented this. It's certainly becoming more widespread. Unlike some of the other advances in radiation oncology that are technologically exciting, this is a pretty simple technique that has tremendous effects on our patients and the care we can give. It's an important advance that should be further discussed. How have updates to the NCCN guidelines impacted the use of radiation in breast cancer? In the most recent version of the guidelines, there is a recognition that some women over the age of 70 with early-stage breast cancer don't need radiation after lumpectomy if they will receive endocrine therapy. Now, we have more accelerated radiation regimens, such as hypofractionated radiation, which takes place over 3 weeks or partial breast radiation that is given over 1 week at NYU Langone's Perlmutter Cancer Center. The risk-benefit ratio, in terms of deciding between doing some radiation and no radiation, is very different than when it was deciding between 5 weeks of radiation and no radiation. A lot of my patients, even if they're over the age of 70 and meet the criteria for omitting radiation, will choose to undergo partial breast radiation over the course of 1 week because there is a benefit to local control. Thankfully, the side effect profile is very minimal. Have treatment planning techniques like proton and intensity-modulated radiation therapy (IMRT) helped mitigate toxicity? In early-stage breast cancer, there has been no proven benefit of protons. There is an ongoing study looking at this in patients with slightly higher risk who need their internal mammary nodes treated. The jury is still out on whether the use of protons will become a useful modality in early-stage breast cancer. The techniques in positioning, such as prone positioning or DIBH, have shown the most benefit from a dose metric standpoint in terms of reducing the dose to the heart.